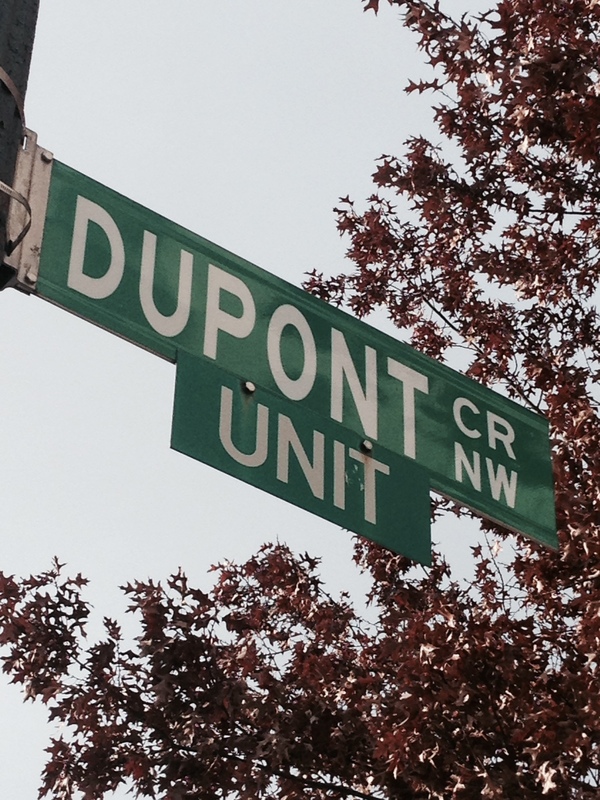 DuPont Circle in North West Washington, DC is probably one of the most vibrant and cosmopolitan neighborhoods in the nation’s capital. You can’t walk a block without coming across a restaurant, bookstore, bar, or club. The active, open and alternative nightlife is often what draws the college crowd from across the city. One of the most amazing things about this neighborhood is just that, it is a neighborhood. The area, bounded by Rhode Island Avenue, NW and M and N Streets, NW on the south, Florida Avenue to the west and Swan Street to the north, is a living, breathing neighborhood where people live, eat, shop and work. The community has an interesting history, too, as one of the earliest planned communities in DC, and is a monument to the architecture of the gilded age of the 1880s. 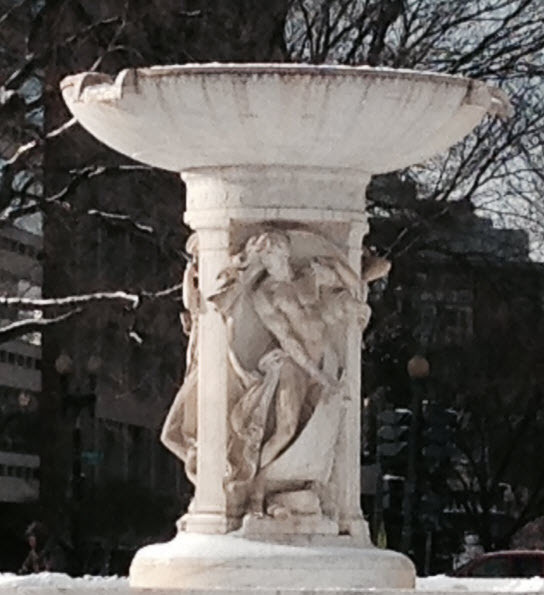 The marble fountain in the center of the circle. The neighborhood is centered around DuPont Circle, a traffic circle and park at the intersections of Massachusetts, New Hampshire and Connecticut Avenues. Note: Wherever two state avenues intersect in DC it results in a traffic circle. The circle was originally called Pacific Circle and had a statue of Rear Admiral Samuel Frances DuPont in commemoration of his civil war service. 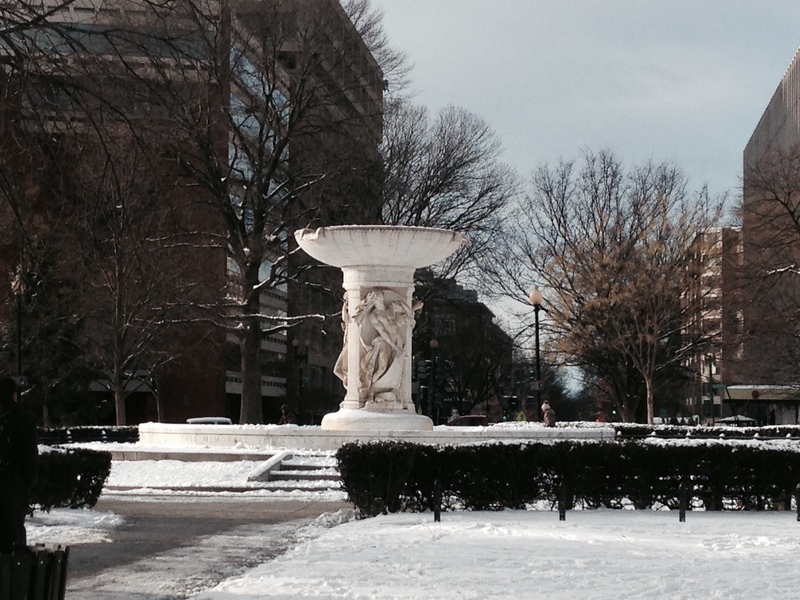 The statue was later replaced in the 1920s by the massive two-tiered marble fountain you see today. The statues represent the Wind, the Stars, and the Sea. The two kinds of houses that predominate the neighborhood are palatial mansions of the gilded age and two- three- and four-story rowhouses mainly built during the 1900s. Many of the homes have been converted into apartments. 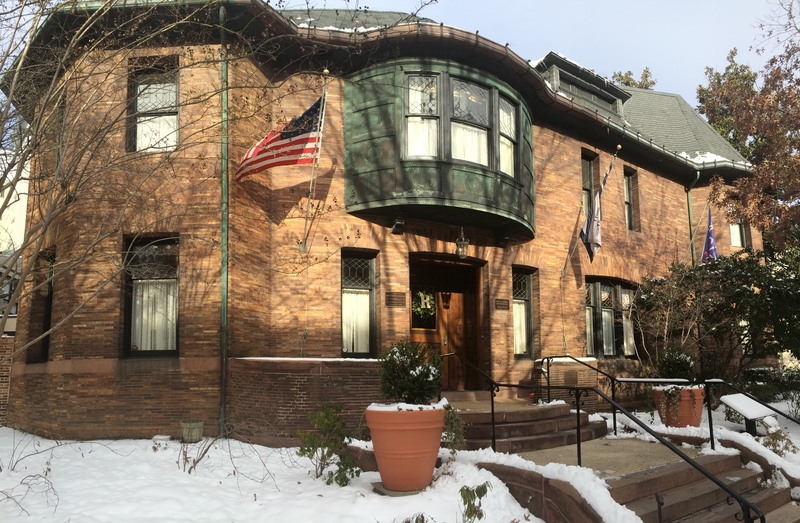 The Whittmore House (also known as The Weeks house) is presently home of the Woman’s National Democratic Club 1892. 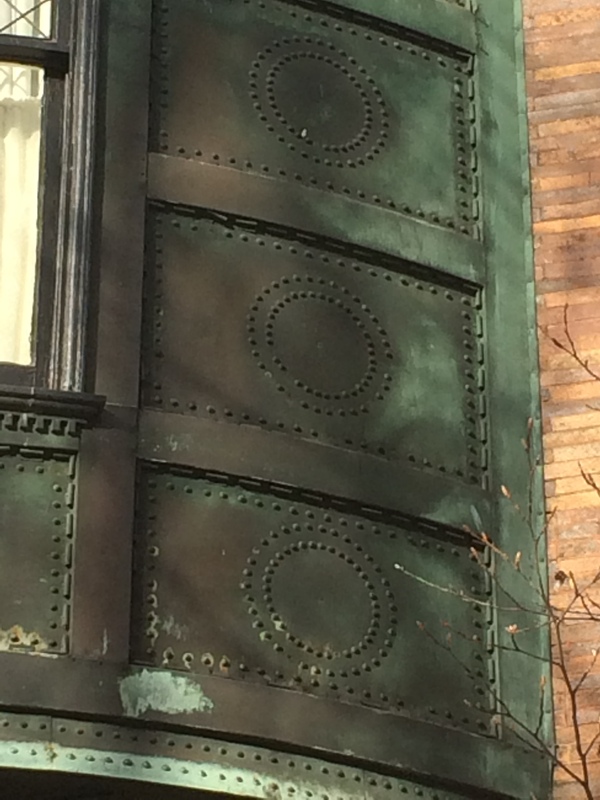 The copper-covered oriel bay is punched and tooled (see photos below) and gives hint of the industrial age and designs that would follow. The rest of the house is designed in the American Shingle style, setting it apart from the French style predominating the neighborhood. It also has the honor of being one of the first houses in the district with electricity. The detail of the punch and tooled copper. The Perry Belmont House easily stands out among the stately manors of the community. Designed in the Beaux Arts style in 1901, the house sits on a trapezoidal lot designed to take advantage of the space. The stately former home of Perry Belmont takes the form of a freestanding pavilion in a French style. The interior is filled with iron fixtures from France, wood from Germany, and marble from Italy. It’s eclectic, and somewhat odd when you consider that the former congressman was also the ambassador to Spain. The building was home to lavish parties in the winter months for the Washington elite, and in 1919 housed Edward, Prince of Wales, as a guest on a state visit. Belmont, a freemason, sold the home to the masons and it’s now the home of the Order of the Eastern Star. 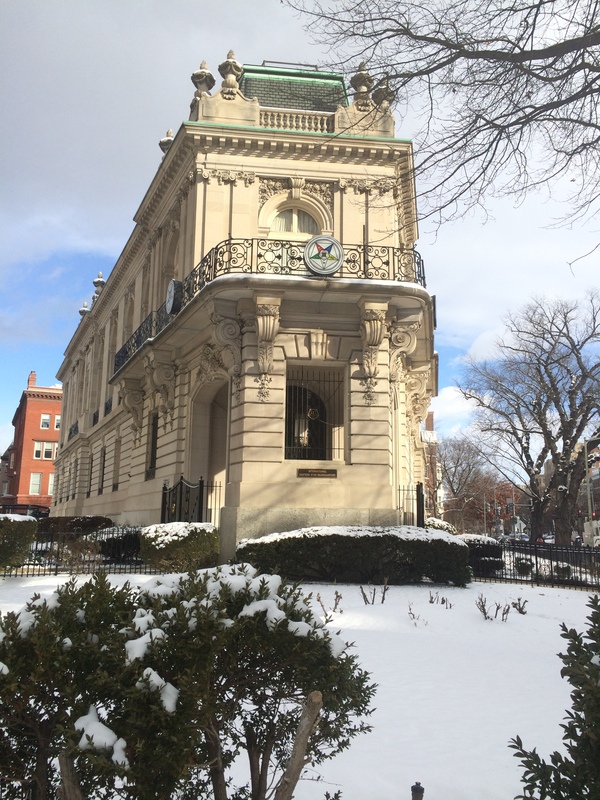 The unfortunate thing about many of the historic homes in DuPont Circle is they are not open to the public. So you’ll just have to do what I did and admire the architecture from the outside. (You may want to wait for warmer weather. It would be much more pleasant with temperatures above zero.) You may be able to contact some of the buildings that have been turned into embassies or businesses and work something out on a one-on-one basis.